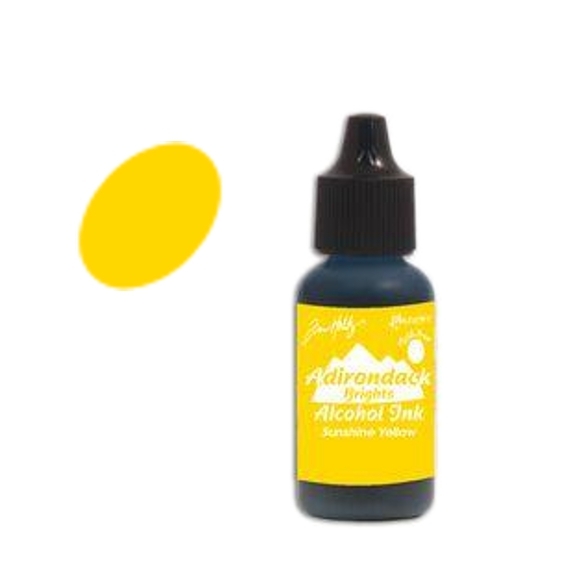 From the Adirondack Brights colour collection by Tim Holtz at Ranger, this 15ml bottle of Sunshine Yellow alcohol ink is specially formulated to create a colourful polished stone effect. As with the whole Adirondack alcohol ink range it's acid free and fast drying. It's suitable for use on glossy paper, metal, shrink plastic, glass, and other slick surfaces. Great item. Good price. Great service. Quick & truble free delivery.